When you arrive at one of our surgical facilities, after admissions and during the pre-operation (Pre-Op) process, you will be visited by one of our Anesthesia Professionals, either an Anesthesiologist or a CRNA. An Anesthesiologists is a physician who has completed a four-year residency in anesthesia in addition to medical school (4 years) and pre-medical school (4 years). Some Anesthesiologists will also complete a one (1) year Fellowship. 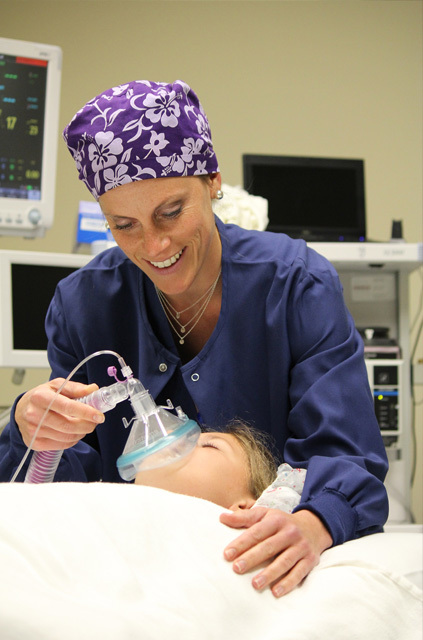 Combined educational years are 12-13 years to become Anesthesiologists. They must pass extensive written and oral examinations as part of the credentialing process of Anesthesiologists. They may supervise other types of providers such as CRNAs and AAs. All of our Anesthesiologist are Board Certified, or, are Board Eligible until Certified. A CRNA is a registered nurse with a bachelor’s degree (BSN, 4 years of education). CRNA’s work in an ICU after obtaining their BSN. Then they go back to Nurse Anesthetist School and receive a master’s degree in the administration of anesthesia. Combined education years are approximately 6-7 years. Depending on the state, CRNAs may work independently or under the supervision of Anesthesiologists. Nebraska is an opt-out state so CRNA’s may provide anesthesia without supervision in the State of Nebraska. CRNA’s may not supervise other providers. After you have met an anesthesia professional, they will proceed with providing anesthesia by starting with a pre-evaluation of your personal and physical history and exam which in the medical term may also be called a “pre-op”. During your pre-op visit by our Anesthesia Professional, you will be asked questions about your health status, similar to a History and Physical. Pre-operative Evaluations are very important to determining the safety and efficacy of the anesthesia your anesthesia professional chooses. In general this allows the anesthesia professional to determine risk factors and determine the proper care. Knowledgeable and honest personal health information given to the anesthesia professional are critical to patient safety in this evaluation as medical history, drug and other allergies, current medications as well as illegal drug use, alcohol and tobacco use are all factors in determining challenges to certain anesthesia. A physical examination may also be performed. You will have been instructed by your surgeon (or surgical facility or both), prior to the date of surgery the importance of NPO. This is a Latin term for Nil Per Os meaning Nothing by Mouth. Those in medicine agree that because of risk of aspiration during surgery, food and liquid should be avoided prior to an operation. A rule of thumb is to begin abstaining eight (8) hours prior to the procedure however allowances should be made for young children and those taking certain medications. NPO orders of your surgeon, facility and anesthesia professional should always be followed closely and it is very important that you notify your anesthesia professional the exact time you last ate or drank anything by mouth. This is a separate document the patient will be provided to read regarding the definitions of the type of anesthesia to be given, as well as the benefits and risks of anesthesia. Your anesthesia professional will go over the “informed consent” with the patient prior to surgery and discuss which type of anesthesia will be provided. The patient (or other legal caregiver) will be asked to sign this document which is a legal document that the patient has been informed of the risks and wishes to proceed with anesthesia. After your Pre-Evaluation is complete, and, you have signed your Informed Consent Form , you are now ready for surgery. In the Operating Room your anesthesia professional will administer one of the types of surgery listed below, that was discussed with you in your Pre-Evaluation. These are summarized definitions to help you have a basic understanding of each one. General Anesthesia affects your entire body and may sometimes be referred to as “deep sedation” in the anesthesia world. Drugs are administered systemically either intravenously or as an inhaled gas causing the patient to lose consciousness. The patient’s breathing is often affected by this loss of consciousness and it is often necessary to provide airway management in the form of a mask or small tube gently inserted through the mouth into the lungs. Regional anesthesia affects a section of your body where the surgery is performed. An injection is given near your nerves causing numbness in that general area. The most common form is epidural anesthesia, which involves an injection in the back resulting in numbness in the body’s lower half. The patient may be awake or sedated. MAC is similar to general anesthesia in design because of its use of sedatives and other calming agents. Its affects are less pronounced than those of general anesthesia. Patients breathe without assistance and remain responsive. MAC can be used for anxiety relief for non-painful procedures and used to accompany local anesthesia for painful procedures. This type of anesthesia targets a specific section of the body where surgery is performed. In most cases, this is a separate procedure where the surgeon orders anesthesia to perform for post op pain, in addition to general or MAC anesthesia. Orthopedic cases are where this service is normally performed, but can be ordered by other specialties. There are normally two types of blocks, single shot lasting anywhere from 12-24 hours and continuous nerve blocks that can last more than 24 hours depending on the pain ball used. It is very important to follow the post operating directions for nerve blocks. For years induction agents were fast acting barbiturates. These are still in use today, the most popular being: thiopental, methohexital, and thiamylal. Recently a non-barbiturate induction agent, propofol, has surpassed many barbiturate forms in popularity. This intravenous drug has been linked to more rapid and clear thinking recovery from the effects of anesthesia. Anesthetic vapors used to be the preferred method for all forms of anesthesia. This method allows for easy and fast delivery of medication regardless of patient’s cooperation. The prototype vapor is halothane, with another vapor that has grown in popularity being sevoflurane. Other less commonly used forms are: isoflurane, enflurane, and desflurane. Muscle relaxants are ideal to create a suitable environment for the body to be operated on. For rapid muscle relaxation, succinylcholine, is the drug of choice, though a search for a replacement with no adverse effects is ongoing. A common drug still in widespread use is Pancuronium. More contemporary relaxants used today are rocuronium, mivacarium, and cisatracurium. Narcotics like morphine, meperidine, and hydromorphone are still widey used for anesthetic purposes. Other shorter acting synthetic narcotics are: fentanyl, sufentanil, alfentanil, and the newest remifentanil. 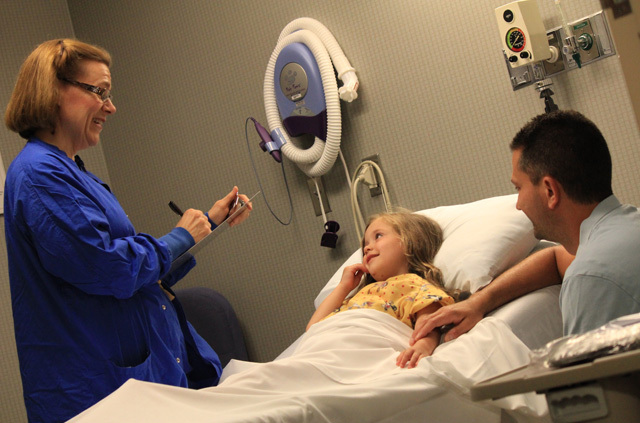 Upon completion of the procedure patients are taken to a recovery room or PACU post anesthetic care unit. There you will be monitored by PACU staff for residual side effects. Most surgeries are not followed by any anesthesia complications although it is important to be aware of certain post-operative side effects. Some common side effects are drowsiness and mild pain including sore throat. Nausea and vomiting is another side effect that has become rarer with improvements in medication, but, may still occur. Chest infections and deep vein thrombosis are other factors associated with surgery and the likelihood could be decreased by early mobilization.